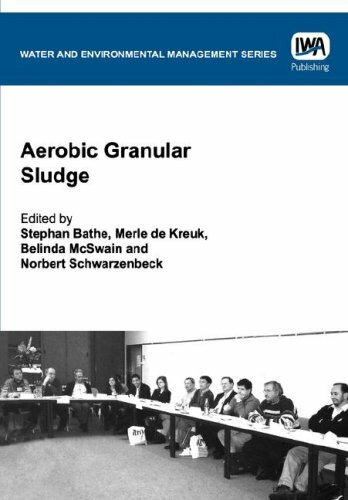 Aerobic Granular Sludge has recently received growing attention by researchers and technology developers, worldwide. Laboratory studies and preliminary field test led to the conclusion that granular activated sludge can be readily established and profitably used in activated sludge plants, provided "correct" process conditions are chosen. But what makes process conditions "correct"? And what makes granules different from activated sludge flocs? Answers to these questions are offered in Aerobic Granular Sludge. Major topics covered in this book include: - Reasons and mechanisms of aerobic granule formation - Structure of the microbial population of aerobic granules - Role, composition and physical properties of EPS - Diffusion limitation and microbial activity within granules - Physico-chemical characteristics - Operation and application of granule reactors - Scale-up aspects of granular sludge reactors, and case studies Aerobic Granular Sludge provides up-to-date information about a rapidly emerging new technology of biological treatment.